More than 250 million households worldwide watched action at the World Baseball Softball Confederation's (WBSC) inaugural Premier12 competition in Japan and Taiwan last year, the world governing body have claimed today. The event, won by South Korea with a final victory over United States at the Tokyo Dome, was the most watched international sporting event in 2015 in both host nations in terms of overall media coverage, ratings and broadcast hours. This follows research by sports marketing firm SMG Insight, who analysed the brand impact and exposure of the 2015 WBSC Premier12 official partners. They found the event produced an estimated $131 million (£90 million/€116 million) in worldwide television advertising value and brand exposure for tournament sponsors, WBSC and the sport of baseball. Over 2,000 hours of coverage was aired worldwide by broadcasters across 58 markets. "The Premier12 was an overwhelming success that generated valuable exposure for our partners, our sport and the players themselves," claimed WBSC President Riccardo Fraccari. "The reach, coverage and commercial power of the inaugural WBSC Premier12 further highlight the continued international appeal of baseball and how it could serve as an Olympic sport." Men's baseball and women's softball were among five sports recommended for Olympic inclusion by Tokyo 2020 organisers last year, along with karate, skateboarding, sport climbing and surfing. The success of the Premier12, which featured the top 12 teams in the world, is therefore being billed as a prerequisite to what could be expected in four years time, where action is also set to take place inside the Tokyo Dome. Big crowds would be combined with huge television audiences and lucrative exposure for sponsors, it is hoped. 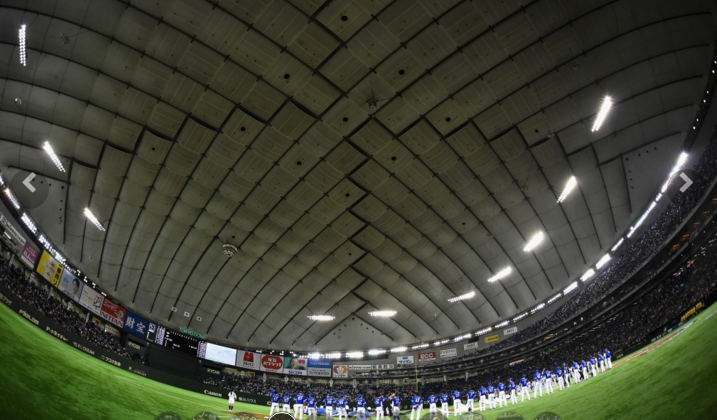 A packed out crowd of over 40,000 spectators attended the semi-final between Japan and South Korea at the Dome. Attendances were far lower for games there not involving Japan, however, with only 5,000 attending the second semi-final between Mexico and United States. A final decision over which sports will be added to the Tokyo 2020 programme is expected to be made by the International Olympic Committee at its Session this year in Rio de Janeiro.